It is a sad Wednesday morning – a very sad one. Death struck and have taken one of our own – our best. 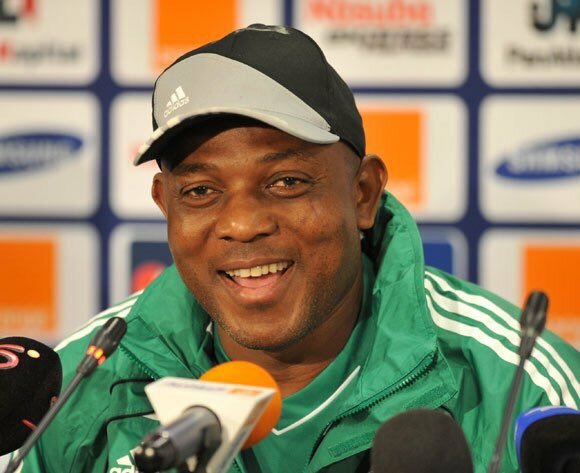 Waking up to see the news of the death of Stephen Keshi is hard to bear. Rumoured to have been appointed coach of Orlando Pirates, the big boss had lost his wife 7 months ago. Now the 4 children have been orphaned. Ooh Death. Captain of the 1994 team and coach of the 2013 team that won the AFCON, Keshi became the first Nigerian to win the AFCON as a coach and as a player. He qualified Togo and Nigeria to the World Cup but coached the latter to the knockout stage of the tournament – the 1st African to do so. He took Nigeria to her maiden CHAN competition in 2014 and won bronze. He was a great player in his days. There is none greater than him. He was one of the few that could achieve greatness irrespective of the administrative challenges from the glass house. I will miss Stephen Keshi. I will miss Stephen Keshi. I will miss Stephen Keshi. I loved him as a player and as a coach. I was hurt how he was removed as the Super Eagles coach. Can anyone achieve what he achieved? It hurts but death must come. How prepared are we for his visit? Mend your ways. Flee all manner of corruption. Rest in Peace Stephen Okechukwu Keshi. You are in a better place now. You will live on in our hearts.